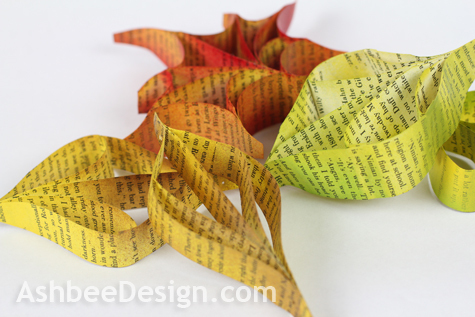 This is the third post in my series on making colorful autumn leaves from book pages. 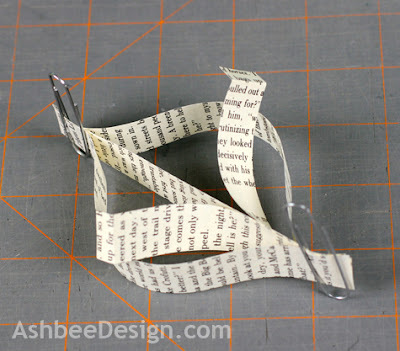 The directions for crafting a birch leaf follows. I am calling this a birch leaf although there are many leaves that have the pointed almond shape. I probably should have started with this leaf because it is by far the easiest, but it is also the plainest. 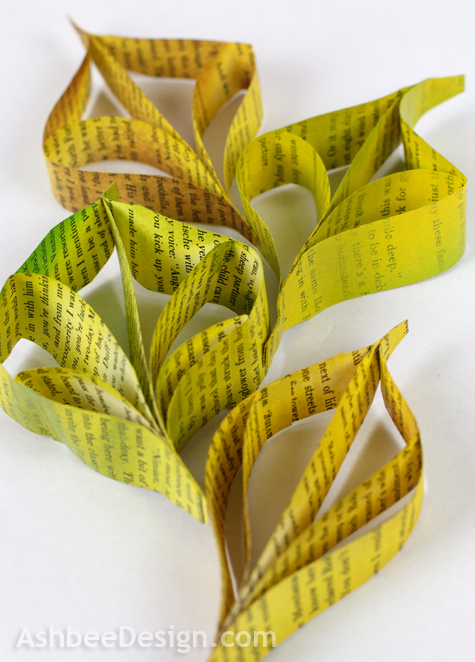 Its shape is simple but I found the collections of leaves needed the birch leaf. It turns bright yellow and the russet oak and red maples needed the yellow to enhance the arrangement. Check out my previous posts for additional display options here, maple patterns here and oak leaves here. 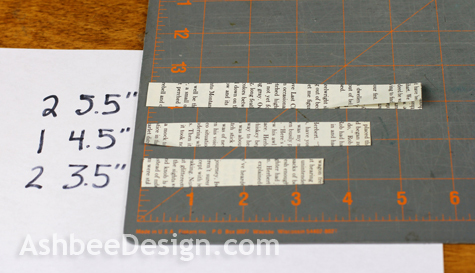 Using the cutting tool and the metal ruler cut the pages into strips vertically 5/8" wide. 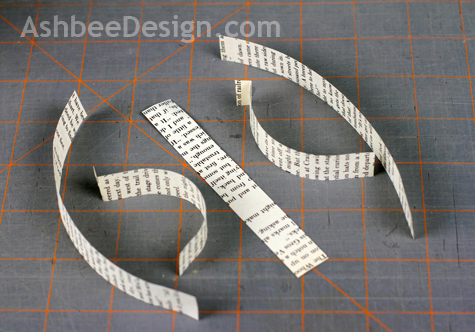 After cutting the strips, I arranged them in the order listed in the diagram. Fold back 1/4" on one end of the 2 shortest (3.5") strips. 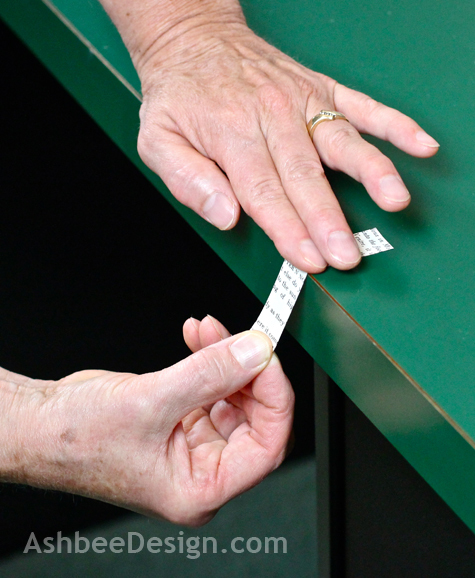 Glue the bottom edge of all 5 together in a stack in the order shown above and in the diagram. Pay attention to the direction of the curves. I used a glue that took about 15 minutes to dry. I could then reposition strips as I needed. 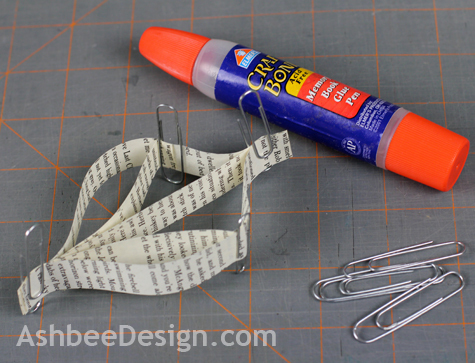 I tried it with my adhesive strip dispenser but that didn't allow me enough flexibility. I found that Elmer's Craft Bond Wet Memory Book Glue Pen worked well. Next glue the top end of the 2 - 5.5" out strips and the 1 - 4.5 center strip. 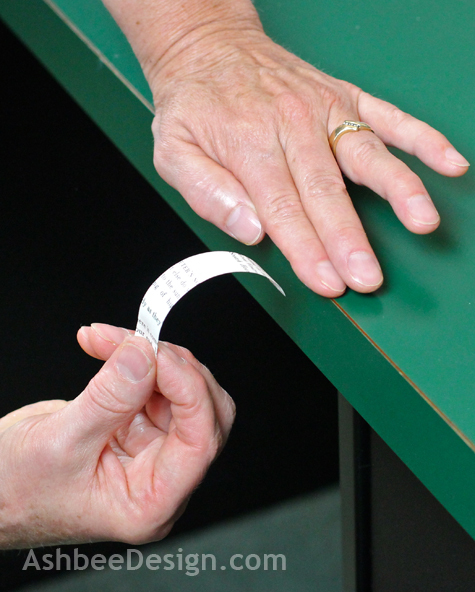 Do not glue in the 3.5 inch strips with bend yet. Last glue step is to glue the 2 inner veins (3.5" pieces with bends) to the sides. 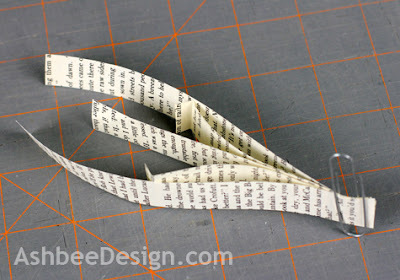 Add glue to the small portion your previously bent over and clip it to the outer edge. Set-up a spray painting area in a well ventilated location. 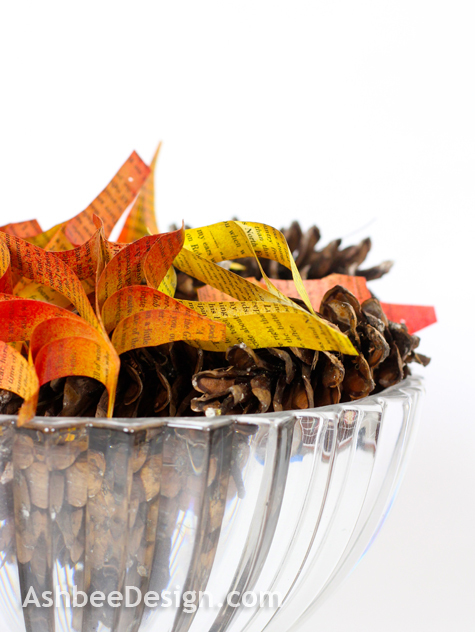 Collect spray paint in fall colors. For the birch leaves I used a yellow base. I then added touches of brown for older leaves, and touches of green for those just starting to turn. The variety works well in arrangements with other leaves. 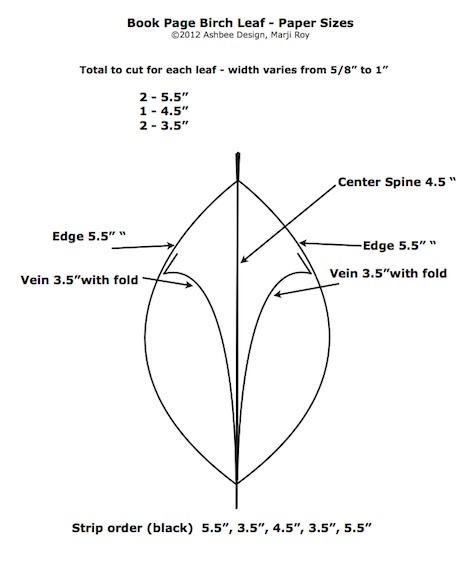 If you haven't already started making maple and oak leaves to go with the birch leaves, follow the links below for directions for the different shapes. Have fun and send me pictures of your creations!